Experience JBLD – Joe Bidermann Landscaping Inc.
Why Joe Bidermann Landscaping Design? Experience how passion, expertise, and beautiful craftsmanship can transform your outdoor space into a backyard paradise that lets you entertain, relax and enjoy life’s precious moments. At Joe Bidermann Landscaping Design (JBLD) it’s all about you! We breathe landscapes and everything we do is to provide you with a better landscaping experience! No matter what, you are our top priority and we will ensure that we exceed your expectations in any aspect of our work. We’re professionals with passionate hearts; at JBLD, we educate and train all of our staff for one reason only: to be the best professionals we can be! JBLD is proud to support Red Seal Trades in Nova Scotia. Both Joe and Kyle were among the first in Nova Scotia to become Landscape Journeymen and JBLD has currently one apprentice registered. More will follow soon! We are a proud member of Interlocking Concrete Paving Institute (ICPI). We have 4 ICPI certified Level 1 professionals on staff. At JBLD we never stop to improve and every day we reflect, learn and adjust to provide you with even more peace of mind. Trust the trained professionals at JBLD. For over 20 years we have continuously reflected on every completed project and made sure we found ways to improve. A landscape is much more than a patio or a planting, it should be a comprehensive reflection of the owner’s lifestyle and taste. It needs to compliment the architecture of the outside as well as the interior design of the home. It also needs to reflect the owner’s needs for everyday life and special considerations. At JBLD we are proud to offer all that. Joe and his professional team have proven time and again that creating meaningful landscapes is an art form At JBLD we are proud to be different! And believing in being diverse and different has been an essential part of our success! At JBLD we are large enough to successfully complete any size project but never wanted to grow too big to lose the precious connection with our clients. Joe Bidermann’s expertise creates award-winning designs and installations as well as award-winning maintenance. His innovative, creative, and beautiful designs will get you all excited about your future landscape. Having trouble visualizing a two-dimensional plan? No problem as we are offering 3D models to our clients as well. Leading the company with his vision and passion, Joe’s designs have earned him a reputation second to none in Nova Scotia and it expands well across Canada. The deep passion for his trade and dedication for advancing all of our employees’ skills continually makes JBLD the perfect company for a ‘One-Stop Experience’. 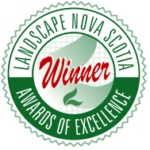 The quality of our work is also reflected through the Landscape Nova Scotia Awards of Excellence Program. We have an amazing track record in Nova Scotia. We’ve won nearly all categories (19, in total) for Design, Installation or Specialty Awards like woodworking, lighting, natural stone or water feature. You should have high expectations and we can promise that we will meet and exceed them! Start today by contacting JBLD and find out how we can help you with your perfect space. Experience the passion and expertise of JBLD — and welcome to our family of satisfied clients! Protect your investment by trusting a company that has the confidence in offering the best industry warranty. If we designed, built and maintained your landscape, your investment is protected by our all-inclusive warranty. A three year warranty applies to all aspects of your projects. No hidden clauses. If it isn’t perfect, we will make so. Enjoy the peace of mind you can trust one company to accomplish all aspects of your project efficiently and professionally! Don’t just take our word for it… see for yourself what some of our clients have to say. 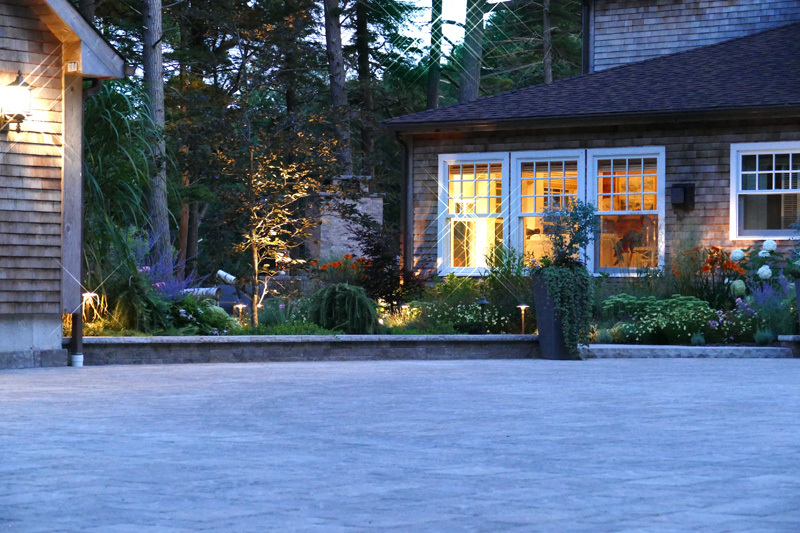 Last year we had Joe Bidermann Landscaping design and install a large landscaping project for us in Cow Bay. From the beginning, Joe and Kyle brought a level of energy, integrity and conscience, clarity, insight, and expertise that, in our opinion, is unparalleled in the industry (and we have had a lot of experience through designing and building a new home, including other landscaping experiences, over the last 8 years). These complimentary words have been chosen carefully to represent what Joe and Kyle bring to their projects that are notably outstanding. It was a great experience to have such a high level of trust that the design and work being done would constantly exceed expectations, and that any complications arising, as inevitably occurs, would be taken care of with integrity and expertise and, in our case, would somehow lead to an improvement in the overall project. We had a great experience from beginning to end in our engagement with Joe Bidermann Landscaping and can’t imagine having done it any other way! We had to replace our septic tank and were faced with a landscaping project as I was just returning to work after my summer vacation. Joe and his team came to the rescue and created an amazing front walk and new front step to add to the necessary landscaping to cover the new septic tank. We did encounter a break in the work due to the delay in the arrival of the building materials but Joe kept us informed on the progress. The project lasted about a month. The results are amazing, we are very pleased with the new look of our front entrance, the plants and stone work give a complete new look to our home. We found the team very knowledgeable and friendly. We look forward to see the new plants in the summer and can’t wait to see how they will transform our front entrance year after year as they keep growing and fill in the garden. Excellent designer and contractor. Our job was done on time and on budget and looks stunning. It is difficult to find contractors who work to the high standards that Joe Bidermann and his team do. 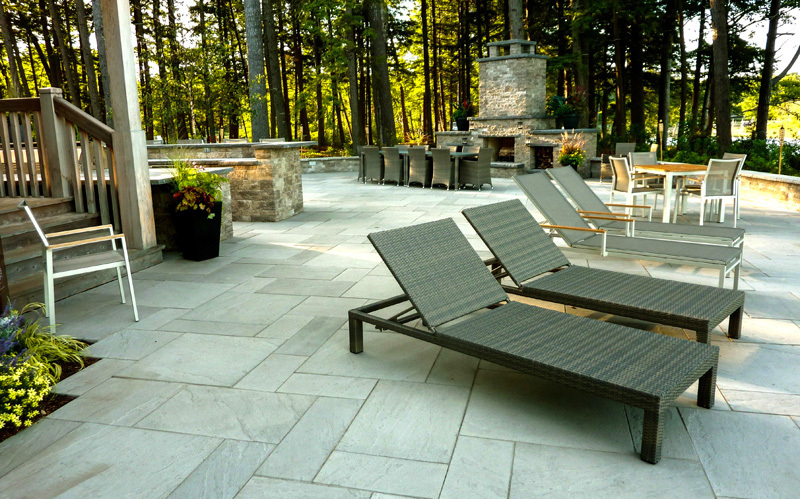 From the first contact, the team at Joe Bidermann Landscaping has been exceptional. Joe is not only knowledgeable, but is clearly focused on ensuring client satisfaction and that all work is completed to a high standard. His team is hard working, professional, and courteous. They take pride in what they do and doing it right. 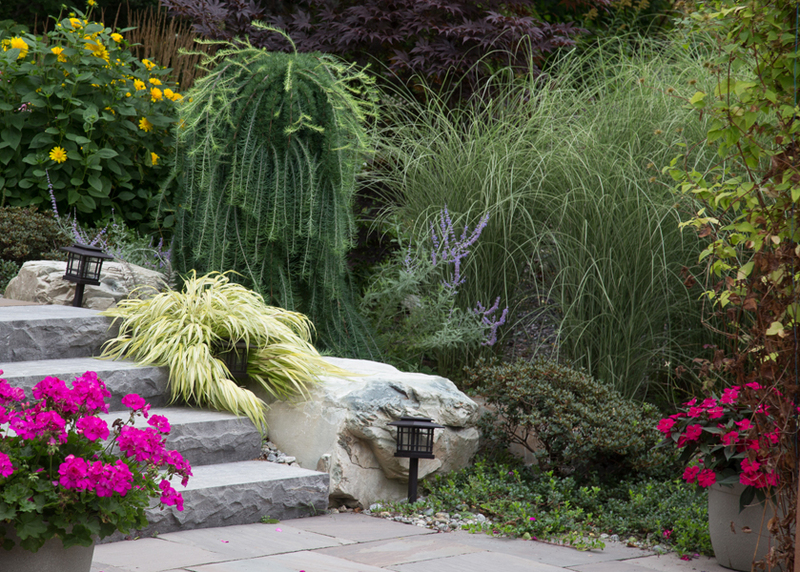 Their work received rave reviews from other landscaping companies working in our neighbourhood at the same time! We look forward to continuing our relationship with Joe Bidermann Landscaping as we progress through the next phases of our landscape plan. Very satisfied with the work completed by Joe Bidermann and his team. The work was completed on time and on budget. We are very happy with the results and were very impressed with the precision and attention to detail that was achieved. We would recommend Joe to anyone and will be using his services again! We used Joe Bidermann Landscaping for a home project last summer, and plan to use them again this year. The work they did was outstanding and well worth every penny. Joe is a consummate professional and his passion for his vocation is evident throughout the entire process, from design to completion. Kyle and the rest of the crew are very knowledgeable, ever so courteous, and are extremely hard workers. What really sets them apart is quality of design, products and installation. Our project turned out more beautiful than we could have imagined. We have enjoyed it so much in fact, that we plan to do another project with them this summer as well as utilize their maintenance services. If you want the best, this is the company to call. Working with Joe Bidermann Landscaping Design is a wonderful. Staff is friendly, courteous and knowledgeable. Joe, himself, is very passionate about his work and it shows through his design and ideas. This was the first time we had dealt with a Landscaping Company and Joe Bidermann and his crew surpassed our expectations. I would highly recommend Joe Bidermann Landscaping Design! We only wanted a little patio, but Joe had a vision and we are so happy he did. He came up with the design and we tweaked it. Three months later, we had a beautiful, expansive terrace, outdoor kitchen, fireplace, walking paths, driveway, and landscaping — all on time and on budget. Joe and his team were here every single day, come rain or shine, and often until dusk. Everyone was polite, professional, and never left the site in a mess. The few hiccups we had were always followed-up and resolved quickly and efficiently. Joe and his team’s integrity, precision, work ethic and sense of humour made the project pretty painless (at least for us). Two years later, they continue to maintain our property with heart and soul.